For all the “awareness” campaigns flooding our social media, there’s still an astonishing amount of well-intended but incorrect or even harmful misinformation circulating about the experience and behaviors of autism. Are autistic people a code to be de-mystified? Are our behaviors strange and irrational? How can we connect with you? And finally, as you’ve probably noticed already, this article will use identity-first language. This decision was made for a complex but very important reason: this is the phrasing recommended by ASAN and the Autism Women’s Network, which, unlike Autism Speaks, are autistic-led organizations. Individuals have their own preferences about what manner they should be referred to, but as in any community, defining umbrella terms is a complicated and ongoing discussion. Misconception 1: Autistic people are trapped inside their minds. Note that we didn’t say “autistic children.” It’s critical that we acknowledge the existence and work of autistic adults. This misconception comes from the idea that because autistic communication is different, autism must hold people back, or “trap” them away from their true (neurotypical) expression. This is far from the case and, in fact, there are many examples of autistic people who suffer when forced into neurotypical modes of communication and thrive when alternative communication is enabled. Carly Fleischmann’s parents believed her completely unable to connect with the world around her—until she was given the chance to type. Fleischmann grew up to start her own talkshow, still nonverbal, but heard. More often than not, all autistic people are “trapped” in is the societal standards by which they’re expected to operate. Misconception 2: Autistic behaviors are resistant and disobedient. A child who covers their ears during class is “making a scene.” An adult who still won’t eat vegetables with certain textures “needs to grow up.” A student who won’t follow instructions is “resistant.” …Right? The truth is that, while autistic people can struggle to learn societal standards of manners and socialization, there are real reasons for what they do. Sometimes it can be as simple as explaining “why.” Compliance for the sake of compliance can be a challenge—one of the perhaps more virtuous behaviors of autism! Sometimes, it can be helpful to ask “why.” Would a different classroom seating arrangement help them deal with noise? Would a different preparation help them eat vegetables? 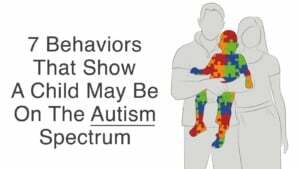 Human behaviors happen for a reason, and autistic behaviors are no exception. Misconception 3: Quiet hands and bodies are self-controlled, well-regulated bodies. It can be so painfully easy to want this. Maybe you’re a parent, and want for your child the same behaviors that signal a mind and body at peace to you. In truth, many self-stimulatory behaviors (or “stims”) serve a self-soothing purpose. Being allowed to stim can improve focus, reduce stress, and help cognitive and executive function, and giving it up can be traumatic. When you see someone rocking, humming, flapping, or doing other non-harmful behaviors, know that the behavior doesn’t need to be trained away for them to be happy and successful. 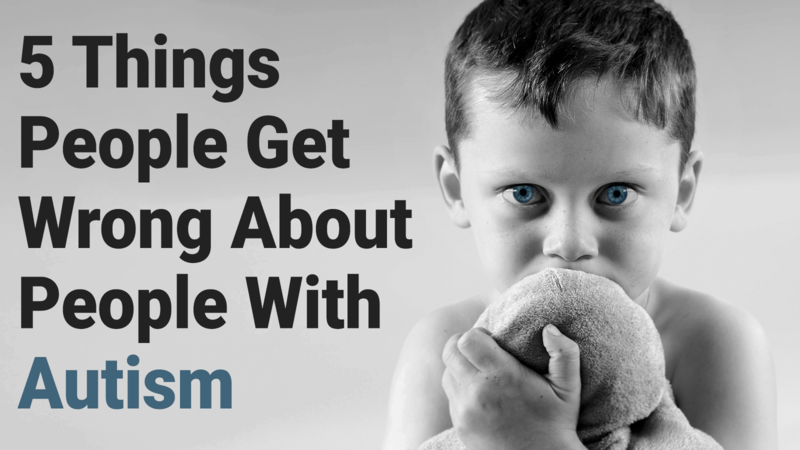 Sometimes, stimming can be an important kind of communication! With time and patience, you can learn their language, just like they’re working to learn yours. Both through sensory differences and unique perspectives, autistic people experience the world differently. What would be an unreasonable tantrum for a neurotypical teenager, for example, can be a reasonable reaction to a shopping mall that is, to an autistic teenager, as loud and bustling as a death metal concert. Seeing this as irrational behavior, and not a rational reaction, delegitimizes this individual’s needs (and teaches them their needs aren’t legitimate). Instead, know society can adapt. Misconception 5: Autism stands in the way of love. Some worry that autistic individuals will never feel loved or connected. But if anything it’s society, not autism, that’s isolating! The way to love an autistic person is not to force every indication of neurodivergence out. Some of us will grow up to speak more, hug more, make eye contact more, and some of us won’t, but none of that means we can’t feel or express love. Autism is a way of being. Understanding its traits is a crucial part of understanding us.